We are to be a people who do good deeds. That's a very significant part of who we are as Jesus' followers. 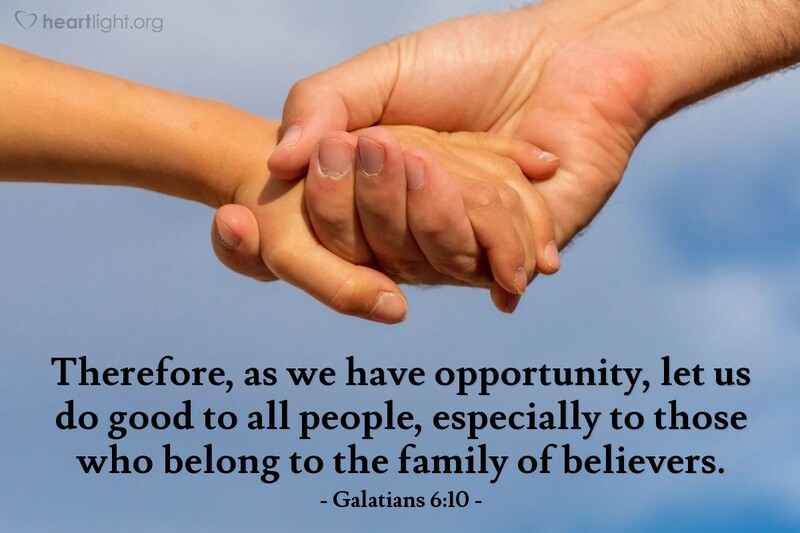 So let's look for the many opportunities that God places in our paths to bless others. Let's use all of these blessings to bring God glory! Almighty LORD, please give me the eyes to see and the heart to be touched by those around me who need to see your goodness and grace through my compassion and concern. In Jesus' name I pray. Amen.